It’s opening weekend across Major League Baseball and Blue Jays Weekly is BACK! Lots to talk about as the new-look Blue Jays take the field for 2019! We’re back after a brief hiatus! 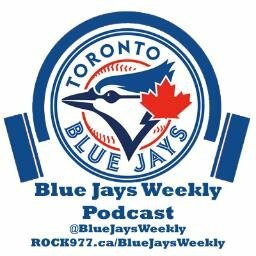 The guys talk about the contributions from the youth, Gibby’s future and praise for Kendrys Morales’ new club record. This week, the guys break down the trade deadline, Vlad Guerrero’s promotion to Buffalo and an update on TuLo. This week the guys chat about the HR Derby and MLB All-Star game. There’s more questions this week about potential deadline deals and praise for Joe Biagini and Gurriel JR. This week the guys talk Josh Donaldson’s setback, the Jays top 6 prospects in baseball and should there be a rule to eliminate the shift?